Just when you think it’s Spring, you wake up to a MAJOR FLUFFY WHITE SNOW WORLD! Seems April Fools Day is one day late! Ha! I will never complain about the snow and, as we know, the weather can’t read the calendar. It should be gone by this afternoon though. Crazy weather. I bet a lot of you are sitting on a pile of beautifully colored hard boiled eggs today. 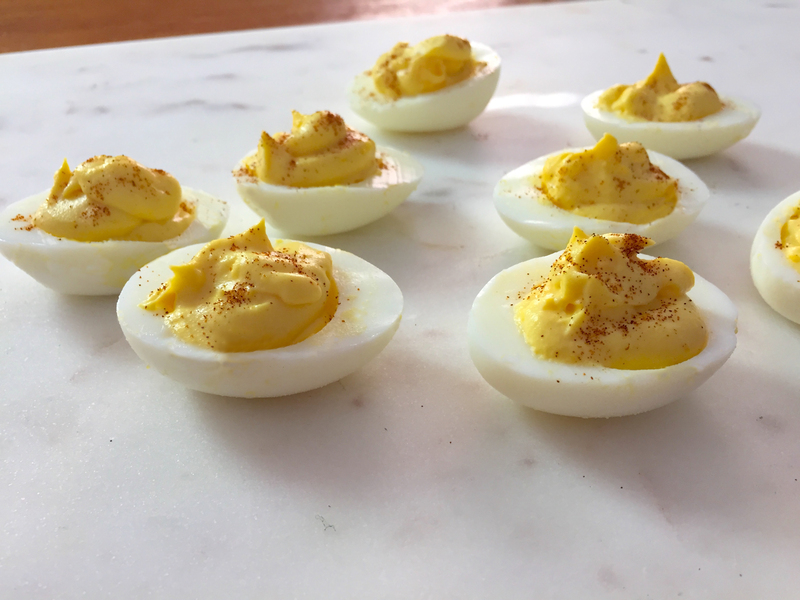 They can be chopped up for egg salad ORRRRR you can “class” them up and make these impressive deviled eggs! 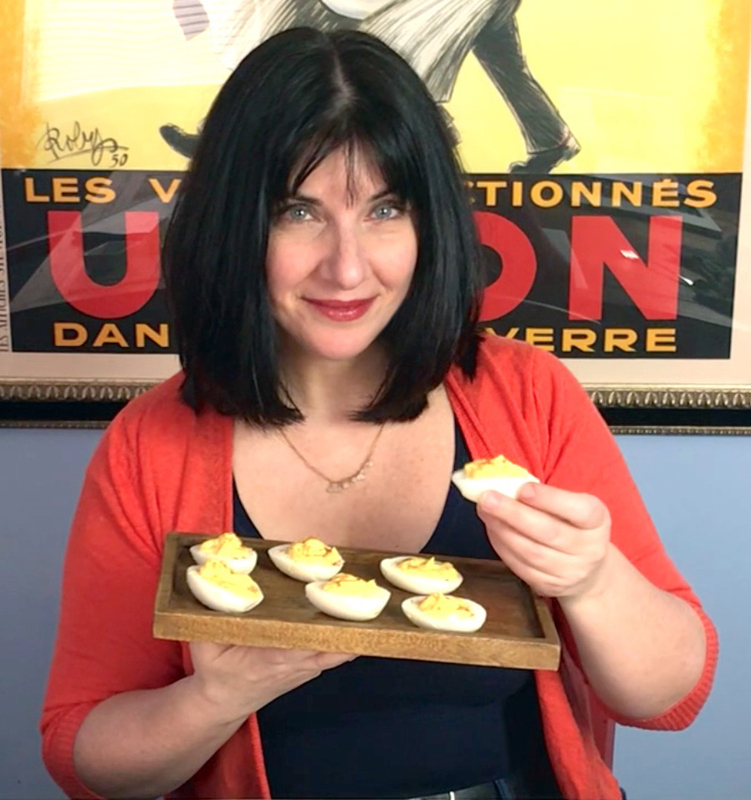 Deviled eggs are so called not because there’s some malevolent creature lurking within – haha. The term “deviled” has been used for hundreds of years to signify spicy or zesty foods. 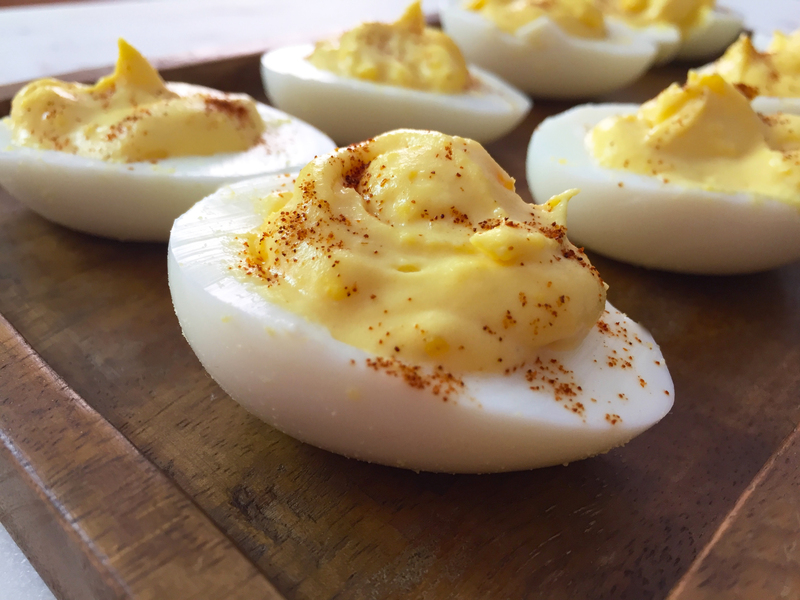 In fact, deviled eggs have been around since the 13th century! An oldie but a goodie. They’re simple to make and use simple ingredients you probably already have. I’m giving you the most basic version here but you can get really creative with the garnishes. Paprika looks nice but you can spice them up with a sprinkle of cayenne pepper… fresh dill… mix in some chopped chives… or really go to town and mix in some shredded cheddar and bacon crumbles. They’re fail-proof! What I like even more than how delicious they are, is how elegant they look when presented. There’s an order to a platter of deviled eggs but when you look closely, they’re not identical, which makes them especially joyful to make. You don’t have to be perfect in executing them. When scooping out the yolk, if some doesn’t easily come out, let it be. Better to keep the egg white in tact and it’s still going to taste great. Also you don’t have to go crazy removing all traces of yolk crumbles from the whites on the outside either. Let it be! They don’t have to be perfect, just like we’re all not perfect BUT, like us, they are SPECTACULAR! 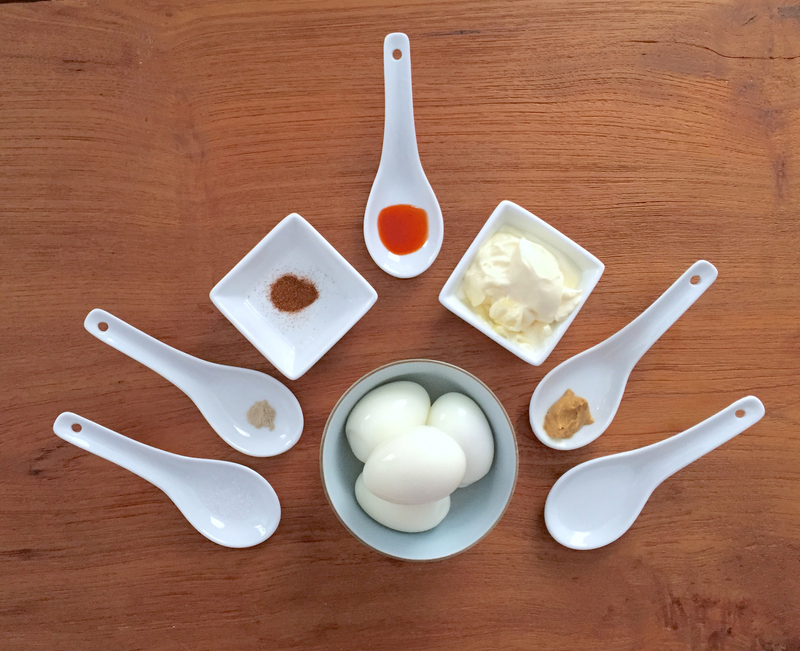 No YOLK… you’re going to be EGG-static about them! Ha! Slice eggs in half long-wise. Spoon out yolks into a bowl keeping egg whites in tact. Set them aside. Mix in remaining ingredients, except paprika, until smooth. Sprinkle with paprika and refrigerate or serve immediately. To pipe in the mixture, spoon into a zip-top bag. Move mixture down, remove excess air, and seal. Snip 1/4" corner of the bag and proceed to pipe it in! EGG MOMENT !!! DELISH !!!! from a HAPPY FOOD PERSON !!! Right on all counts! 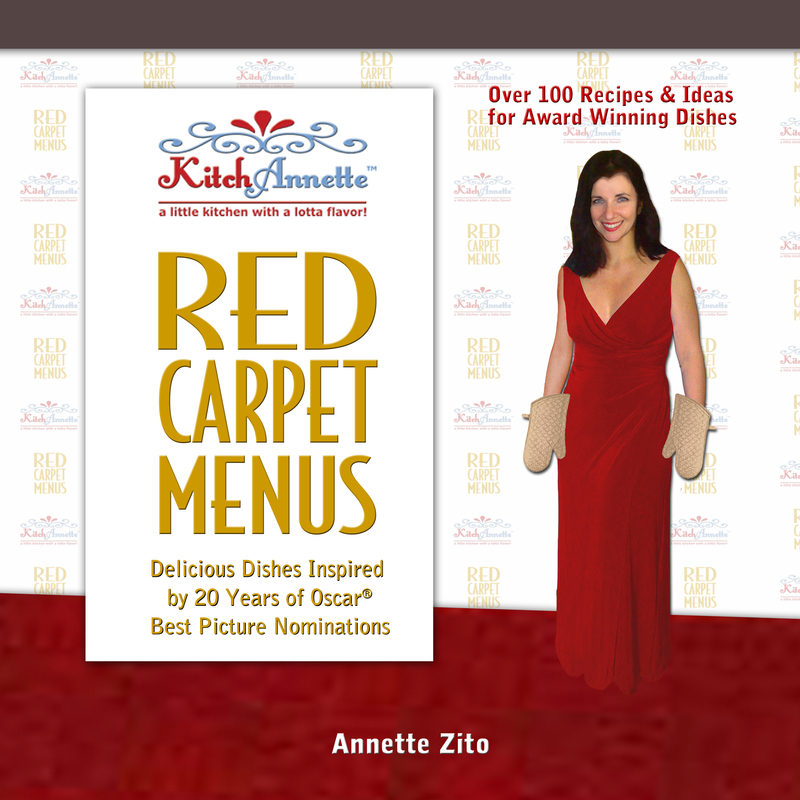 I get VERY HAPPY with delicious dishes! 🙂 Thanks! « Spread it on THICK with these Spect-HACK-ular Spreads!